Spend the next two hours with David Ginn, author of 80+ books on entertaining children with magic, and be prepared to take notes! On this DVD, comes two of David's early releases from the early 1990's. 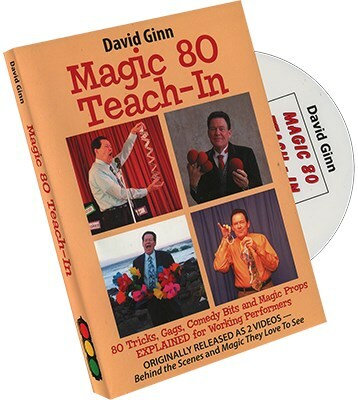 David will teach you 80 tricks, jokes, gags, and routines YOU CAN USE for family and children's shows. Get fired up to have fun learning!